In today's age of cognitive computing—where everything seems to be computerized—a huge amount of data is being produced, so much data that sometimes we are unsure of how to process it all, and the onus is on IT to effectively manage, maintain, and leverage that data. To benefit from cognitive computing, CIOs are beginning to take entirely new approaches to their IT infrastructures. 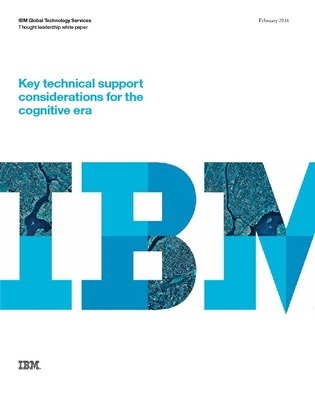 Download this white paper to learn about the delicate balance CIOs are currently trying to strike between availability, security, and cost savings, and the steps you should be taking towards a cognitive future.